Published by David Bateman Ltd, Auckland, N.Z. First published 1994. There are now some five editions. ISBN 1-86953-184-1 and ISBN 0811731634. Size: 250mm x 190mm. 231pp total. 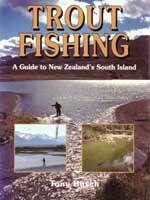 Including many colour photographs, together with black and white maps showing places to fish. 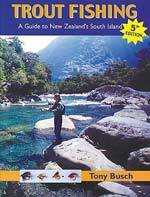 “Discover the challenge of the South Island’s large wild brown trout and rainbows with this comprehensive guidebook based on the author’s previous book Trout Fishing – A Guide to New Zealand’s South Island. by Tony Busch. This is the 1994 edition. It offers anglers the key to finding and fishing some of the best trout waters, covering over 115 fishing spots on 37 rivers and lakes. 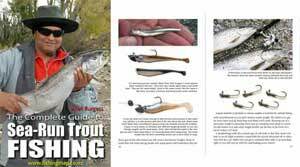 All are described in the kind of detail an angler needs: how to get there and all the access points, fly fishing and spin fishing techniques for that particular spot, the best times to fish and the best flies to fish with. As a professional trout fishing guide, Tony Busch is able to give all the tips and tactics needed to create a memorable fishing experience on rivers famous the world over for their sport, and the waters less well known but just as special, harbouring the kind of trout anglers dream about. 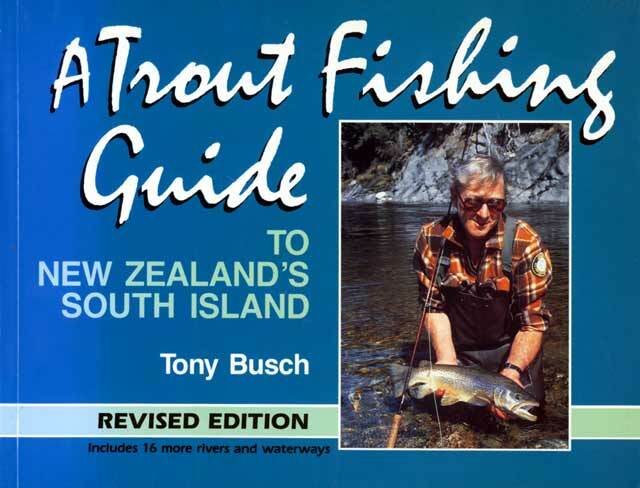 Tony Busch has lived most of his life in the South Island. As at boy he spent his spare time fishing and hunting on West Coast. Between 1965 and 1989 he owned a Nelson sports shop with an emphasis on tramping and fishing. He has been a professional trout fishing guide since the mid-1970s, specialising in helicopter trips to otherwise inaccessible waters in the South Island’s Southern Alps. by Tony Busch. This is the later July 2004 (5th) edition.